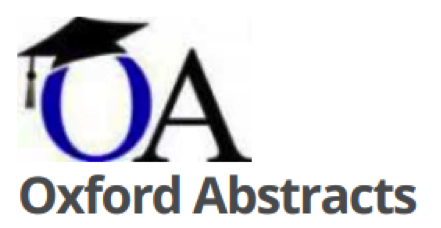 Oxford Abstracts is an academic conference abstract and paper management system. They wanted to completely rewrite their existing application to deal with all the issues they had identified. The problem was that OA had been badly let down by another agency and they needed something scalable, maintainable, and stable... and quickly. Wrangling 200-odd feature requests into a coherent MVP was never going to be easy, and it was only by working very closely with the client that we were able to distil this extensive backlog into something manageable. dwyl’s collaborative approach to all our projects really came to the fore here. Bringing in our designers from the very first workshops, we worked through the problems the existing application was facing and devised a plan to incrementally nudge users to a new user experience. Almost two years on, we are still working together to build more features based on requests from Oxford Abstracts’ clients. While the core of the app is closed, it was great to still have the opportunity to work with entirely open source technology. We’re very used to working with Hapi.js, PostgresQL, and Handlebars, but the real excitement comes from being able to use our own open source modules for registration, login, auth, and sending emails. 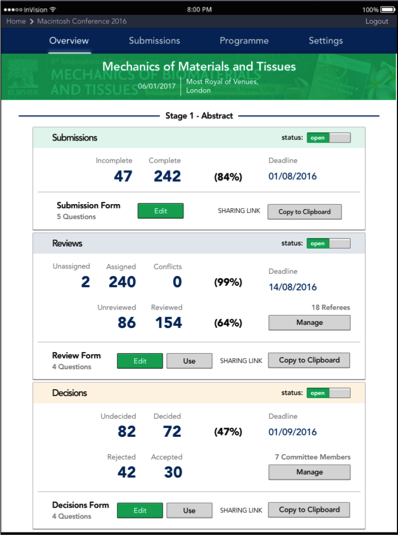 The final product is jam-packed with features, including dynamic form-building, completely customisable programme creation, an API for third party conference applications and functionality for abstract review and decision-making all in one place, with personalised dashboards and complex reporting to boot.